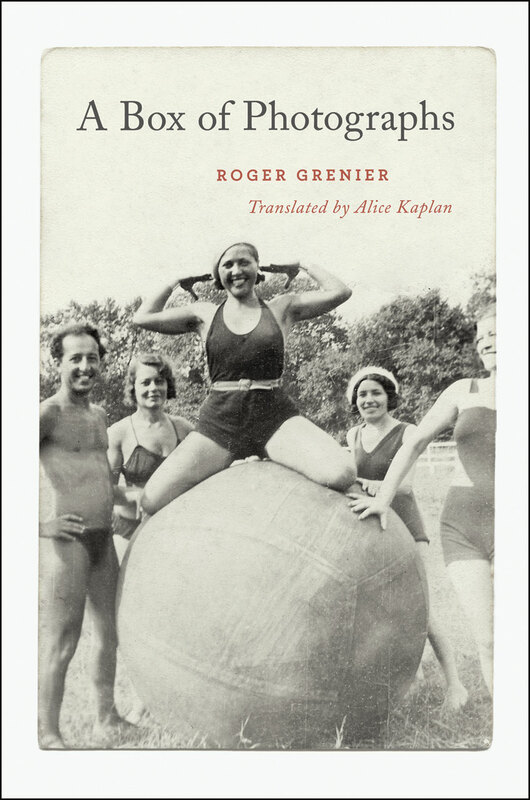 The most recent issue of the Times Literary Supplement reviews Roger Grenier’s A Box of Photographs, a chronicle of Grenier’s exploits in writing (as a journalist; an editor at Éditions Gallimard; and the author of more than thirty novels, short stories, and literary essays) alongside the story of a life spent in conversation with the medium of photography. Included are vignettes about his own experiences and those of the photographers he admired or with whom he crossed paths while paired on assignment for newspapers like Combat (founded by Albert Camus) and France-Soir. All of this comes, of course, with meditations on the photographic image, as Grenier champions the work of those like Lee Miller, who placed themselves in positions perilous to their own safety to capture the atrocities of war, and voices disapproval for those photos circulated by the “proto-paparazzi,” filled with a kind of carrion fatigue, often portraying the moments just before or after famous death. As Peter Read writes in the TLS: Divided into short chapters, like selections from a newspaper column or pages from a photo album, A Box of Photographs tells in words and images the story of a life spent with cameras and typewriters, while . . .
Alexander von Humboldt was a biogeographical maximalist, if that makes any sense. 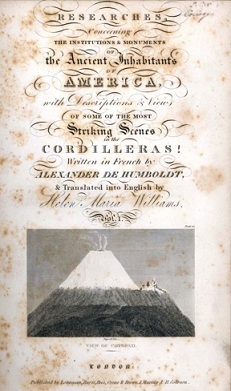 The Prussian-born von Humboldt had traveled through much of Latin America by the time he was 40, where he scientifically documented many of its surface features for the first time, and forwarded research that developed the burgeoning fields of meteorology and physical geography. His approach was holistic—by the end of the nineteenth century, “Humboldtian science” was the term generated for the combination of scientific empiricism, precise instrumentation, and the pursuit of the interconnectedness of all things von Humboldt found in his approach to the natural world. A recent profile in Nature Conservancy magazine, “Humboldt’s New World,” takes on the explorer-scientist and his encounters in Latin America, many of which involve terrain protected by the Conservancy. Of his journey, Julian Smith writes: The Prussian naturalist and explorer Alexander von Humboldt was midway through a five-year, 6,000 mile voyage of scientific discovery through Latin America that would revolutionize thinking in fields form astronomy to zoology. Charles Darwin himself called Humboldt “the greatest scientific traveler who ever lived,” and when Darwin set off on his own journey aboard the Beagle three decades later, he took a copy of von Humboldt’s seven-volume . 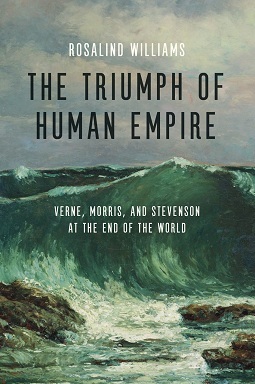 . .
Excerpt from The Triumph of Human Empire: Verne, Morris, and Stevenson at the End of the World by Rosalind Williams *** NEW ATLANTIS The phrase human empire comes from a haunting tale by Sir Francis Bacon titled New Atlantis (Latin 1624, English 1627), in which he imagines a storm-tossed European ship lost in the South Seas, “in the midst of the greatest wilderness of waters in the world.” The vessel providentially washes up on an uncharted island, where the ship’s company discovers descendents of survivors of the lost city of Atlantis, a superior race that has established there a great research foundation, Salomon’s House. Most of the fable recounts the “Preparations and Instruments” they use. First, however, Salomon, the “Father of the House” who oversees its activities, explains its purpose in a single sentence: The End of our Foundation is the knowledge of Causes, and secret motions of things; and the enlarging of the bounds of Human Empire, to the effecting of all things possible. There is no article “the” before “human empire.” It is not like the Roman Empire or any other territory-based empire that wields power by extracting tribute from the ruled. Human empire is limited in territory . . .
Maclehouse Press, which publishes the UK edition of the Bingham Prize-winning debut novel A Naked Singularity recently filmed a sit-down conversation with Sergio De La Pava. If you haven’t read the book yet, this is a chance for you to encounter one of its core virtues—an author capable of riffing on the criminal justice system in a manner that both encapsulates its essential predicaments and exposes the paradoxical thinking and ethical challenges that often undermine its success. De La Pava focuses on the drug war here, and while much of ANS engages with different conceptions of criminality, the stakes are the same. 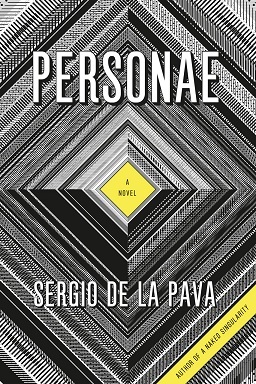 If you like what you see, you might want a head’s up about De La Pava’s follow-up novel Personae, which publishes next month. 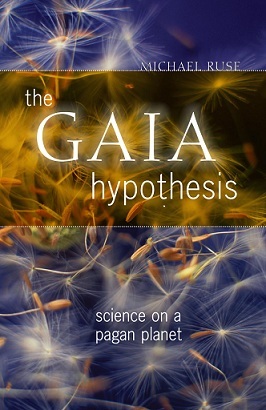 More about the book here. . . .
An excerpt from the Introduction to The Gaia Hypothesis: Science on a Pagan Planet by Michael Ruse To fill out the picture, the 1960s was the decade when this uneasy face-off between the established power of the older generation, backed by and enthusiastic about science and technology, and the rebellious doubt of the younger generation regarding the course of the nation and its authorities’ enthusiasms led more and more people to explore new ways of making sense of existence, new dimensions of thought and action. Matters are rarely as simple and straightforward as the surface suggests. Overnight, the advent of birth-control pills changed sexual attitudes and behaviors as women were suddenly freed form the fear of unwanted pregnancy. Yet obviously, in its way, “the pill” was a triumph of the very technology that was being berated. One work that became standard reading for every teenager, William Golding’s Lord of the Flies (fifteen thousand copies were sold in the United States in 1960 and more than half a million in 1962) is deeply rooted in the venerable doctrine of original sin. There was continuity and there was change. We see this very clearly in questions to do with ultimate meaning and . 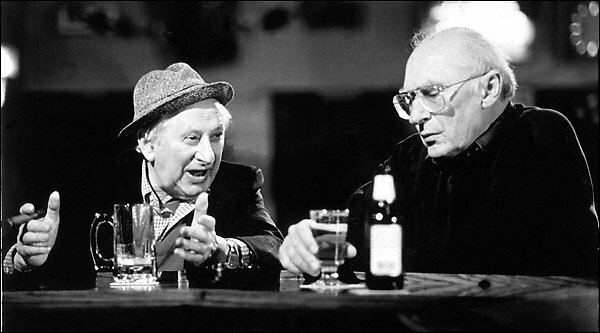 . .
Mike Royko (right), in conversation with Studs Terkel If you called Chicago home at some point during the second-half of the twentieth century, you probably don’t require an introduction to Mike Royko, or to the work he produced as a columnist for the Chicago Daily News, the Sun-Times, and the Tribune. 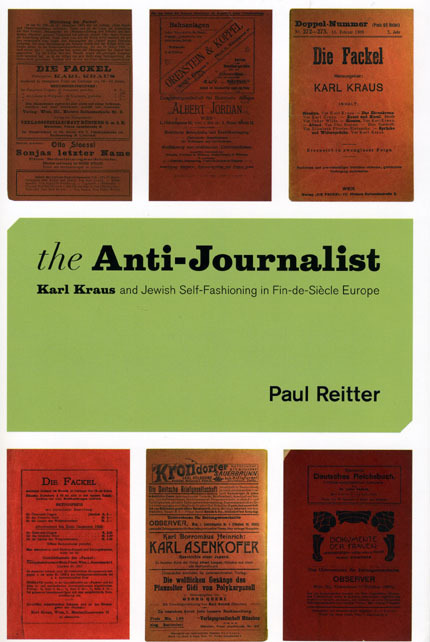 If you digested these newspapers on a regular basis (you know, as people did before the “reality talkies”), you knew him as a Pulitzer Prize winner with working-class roots, sparse and specific with language, sparser still with pretension, hypocrisy, and corrupt politicking. Royko would have turned eighty-one today—we publish a solid sampling of his work including Early Royko: Up Against It in Chicago, For the Love of Mike: More of the Best of Mike Royko, Royko in Love: Mike’s Letters to Carol, and One More Time: The Best of Mike Royko, from which the excerpt below is drawn. “Ticket to the Good Life Punched with Pain” is later Royko—written just after Rodney King’s beating at the hands of the LAPD and six years before Royko’s premature death at age 64—but a classic example of the writer’s sense of justice and outrage, coupled with an everyday kind of diction that . . . There is a mighty essay in a recent issue of the Guardian Review by the American novelist Jonathan Franzen. Heard of this guy? I’m not certain, exactly, what led me to the adjective, “mighty.” There is an obvious forcefulness to the writing, per Franzen’s style, and the essay itself, um, runs several pages (“girth,” “length”). Franzen’s polemical positioning of Karl Kraus is more than plausible; he’s certainly not the first to take up this cause—Kraus was dexterous prose technician noted for the economy of his aphoristic, contra capital rants largely directed at certain foibles of the bourgeois Viennese cultural community to which he claimed membership. Franzen even has a forthcoming edited (and translated) selection of Kraus’s essays in the works; this is the sort of thing we’ve come to expect from a Marxian scholar of rhetoric or a comp lit professor feverishly working on the printed ephemera of modernism’s foray into journalistic inquiry, not the product of a literary novelist working on the next big thing. So, that’s great. Weirdly, the essay itself works as a détournement of JonathanFranzen-ism—and the sometimes goading lack of self-awareness with which Franzen pens reflective pieces on late-capitalist American culture is about as anti-Kraus . . .
Chicago sportswriting is synonymous with, well, um, as far as I know: dude who had a peg leg; dude who has the same initials as that one guy in the Sega Genesis-era Moonwalker game circa 1990; dudes who did coordinated shuffling (including dude who appeared at Wrestlemania II and was the subject of the Fat Boys’ “Chillin’ with the Refrigerator”); that one team with the curse; that other team, which once featured Bobby Jenks, who looks like Bobby from King of the Hill; dudes with the sticks that make it impossible to get a beer at the Whirlaway Lounge, assorted evenings October through April; dudes whose team is named after an 1871 domestic disaster; and various other dudes, lady dudes, mimeograph machines, folded and unfolded periodicals, and residual jouissance. Bear down, Bull up or something. Confusing Harry Caray with Andy Rooney many times as a Midwestern pre-adolescent given free range with the remote control. But seriously: you know who really knows Chicago sportswriting? Ron Rapoport, longtime sports columnist for the Chicago Sun-Times and the Los Angeles Daily News and a sports commentator for National Public Radio’s Weekend Edition. 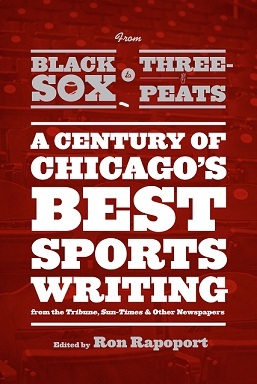 Rapoport’s most recent edited anthology From Black Sox to Three-Peats: A Century . . .